- WINGED MONKEYS! TECHNO-DOLPHINS! QUANTUM ALLEYCATS! - Humanity's long gone. Its memory lingers only as misunderstood rituals among mankind's leftovers: the genetically modified animals they used and abused for eons. - But for one young flying monkey, QORA, the routines are unbearable. All she wants is to explore. Instead she's expected to settle down, to become a mother... to lose her wings. 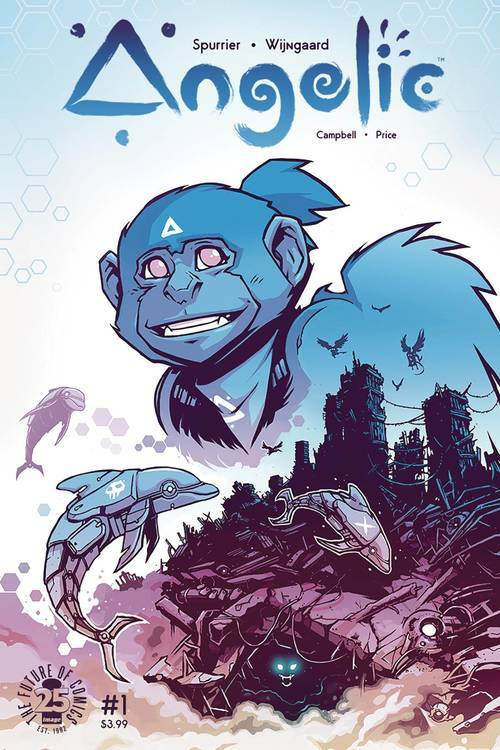 - Eisner nominee SIMON SPURRIER (The Spire, CRY HAVOC, X-Men Legacy) and rising-star CASPAR WIJNGAARD (LIMBO, Dark Souls, Assassin's Creed) present your new bittersweet adventure obsession: teenage rebellion and animal antics amidst the ruins of civilization! - Think WALL-E by way of Watership Down. Fly, my pretties!